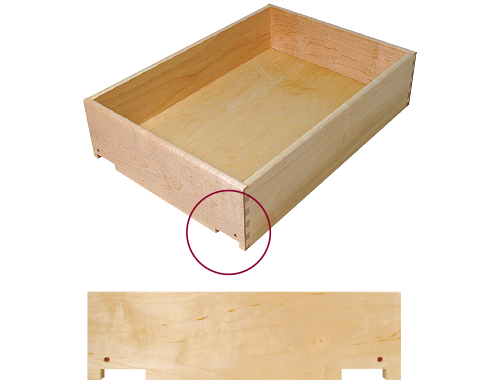 *Standard finish for drawer boxes is two coats of catalyzed varnish. *For additional wood species not listed above, call customer service for availability. 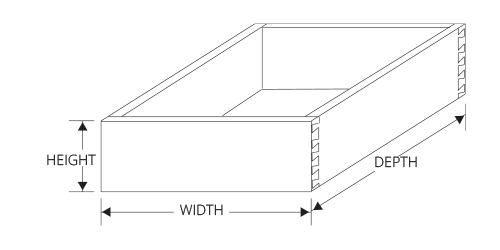 *For 3/4” thick boxes, undermount slides are available in case lots only. **Other species may be available upon request. Height measured in 1/2” increments only. approximately 1/8” undersized in height. 1/2” from the bottom. Custom placement is available. 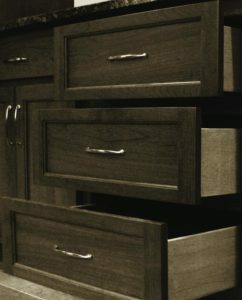 Drawers can be notched for all makes of undermount slides. 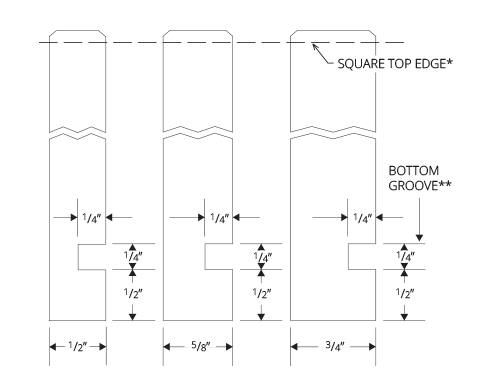 The standard notch width is 2” for most slides, including Blum BLUMOTION soft-close drawer slides. 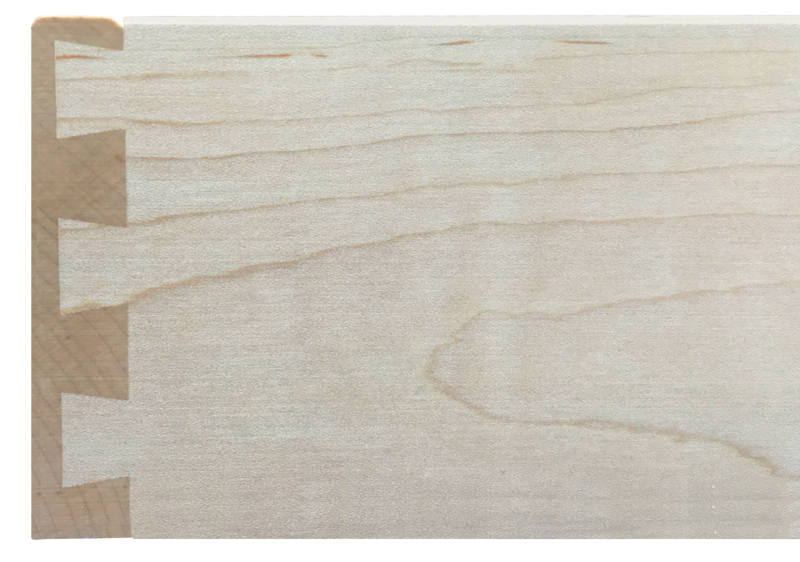 Custom notching is available.